Nine unreleased and rare tracks from the amazing Roger Damawuzan also known as the “James Brown from Lomé ” backed by the tremendous “ Les As du Benin” orchestra , recorded between 1972 to 1981. Born in 1952 in Aneho ( Togo, West Africa) , “The king of Gazo” ( a traditional rhythm) is one of the most popular singer of the country. He started his career in 1968 with the “Ricker’s “ but his first record was released in 1972 with his now classic hit “Wait For Me” . With Les As du Benin from 1972 to the beginning of the 80’s , they worked more than 5 days a week at the Hotel Tropicana in front of the sea with many tourists around and it was a very good exercise to work and create a perfect Afro Soul sound . Sometimes recorded in Ghana in the famous Philips studio, sometimes during live session for big events in the “Palais des Congres de Lomé” and studio Otodi in Lomé always on analog takes. Roger Damawuzan lives in Lomé , in 2014 he was the featuring singer on the smash hit “Pas Contente” by Vaudou Game and performed with the band in different European big festivals. 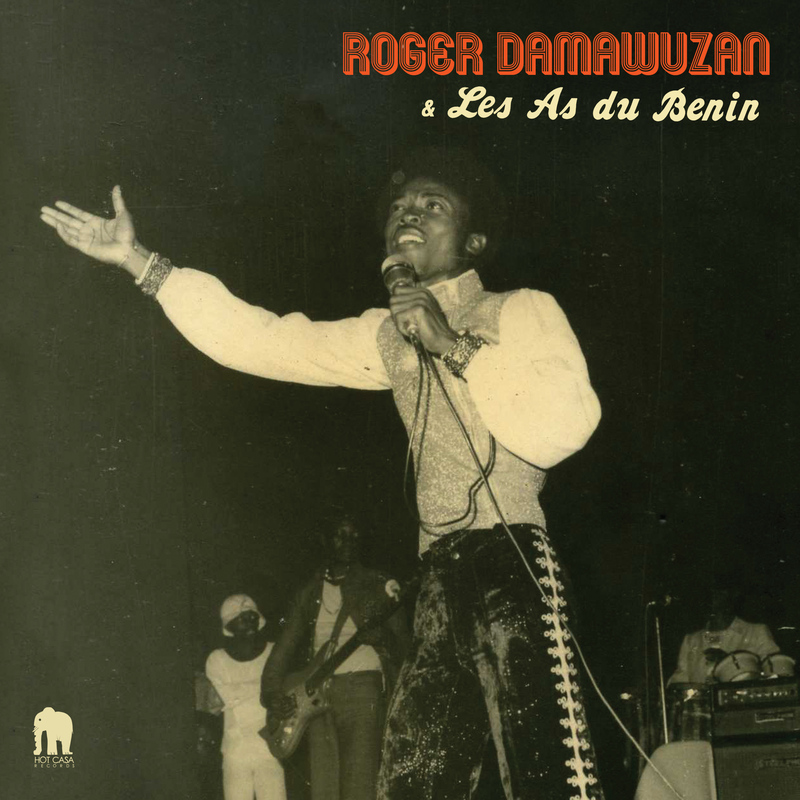 Roger Damawuzan & Les As Du Benin can be considered as one of the biggest figure of the african Funk scene of the 70 ‘s : A must have record!